Anita Desai’s novels were being published in India in the 60’s, 70’s and 80’s in an Outlook India Op-Ed, to no fanfare at all. Rather than get excited about Indian writers writing in English, Indian readers continued reading Austen and Hardy and Wodehouse. 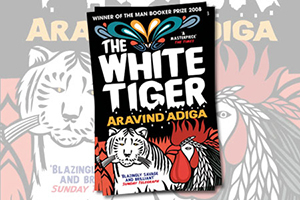 It took major literary prizes awarded by the West, as well as big advances, for Indian readers to develop an interest and Indian-English writing (a trend which continues: it took Arvind Adiga’s The White Tiger being long and short listed for the Booker Prize for it beginning to sell in India). Since then times have changed but this change comes with its own set of drawbacks. Were Adiga not short listed for the Booker and did it not begin to recoup the big advance Harper Collins India gave it, would it be tough for his second novel to sell? Although Indian publishing houses, still in their nascent stages in many rosy respects, may yet give their authors a second chance that U.S. publishers, with their look-to-the-bottom-line-only, no longer do. Will it follow that midlist American authors finding it impossible to get published in the U.S., may turn to India for book deals, and readers? How easy might it be for an ‘American-Southern writer’ to get a book deal in the Indian market? Will the book have to follow a ‘Steel Magnolia’/Ya-Ya Sisterhood/Sweet Potato Queen stereotype’? Might it then be the Indian readers turn to ‘exoticize’ the U.S.: give us mint juleps and iced teas, give us family sagas where all the women stick together till death do they part, give us long shots of magnolias and big hair? After all ‘exotification’– be it mangos or veils or arranged marriages– is still a challenge that South Asian writers, indeed writers from many cultures, still face– though perhaps not as pervasively as before– when trying to be published. This is a refreshingly unromanticised portrait of India, showing that a vast gulf between rich and poor is not an exclusively western phenomenon. It’s a very exciting winner for bookshops as it’s so commercial. gods. And we Hindus have 36,000,000 gods. And of course in the day and age of 600 page novels it is delightful to come across a short novel. However that said as delightful as brevity can be, a short novel is often kept short because the author chooses to tell the story from one character’s point of view rather than through multiple characters. The White Tiger could have been a much deeper novel had Adiga chosen to tell the story through other characters’ perspectives as well as delving deeper into how they have become who they are in the course of this novel, but this is a choice each author makes and the reader can only vote whether the author’s choices have whetted their appetite fully: a not too long novel and one point of view versus a much longer read with many characters telling the story at the same time?